We Need To Eat Healthy ~ I Can Do That! I decided to eat healthier and will try to serve my family vegetarian meals 3 times a week . I used to 5 years ago but got lazy (vegetarian food requires a lot of work, you have to consider variety and taste) and did not serve vegemeals regularly. 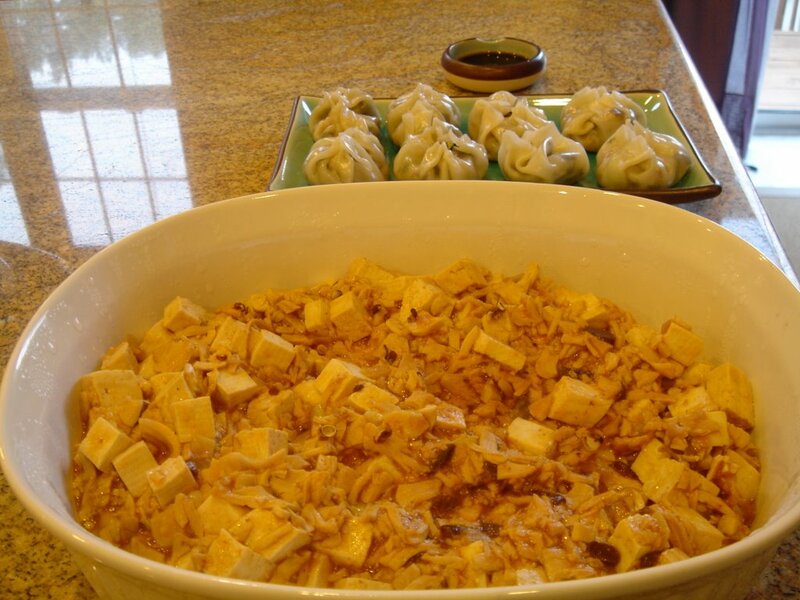 For starters last night I prepared Chinese: Ma-Po's Bean Curd AND shumai with baby bokchoy and peanut filling. For the Ma-Po I used shredded chicken flavored gluten (seitan) and cubed firm tofu, both are available at Korean supermarkets. I didn't have hot bean paste so I substituted Thai shiracha and yellow bean sauce. It came out tastier because the Thai sauce is spicier and has garlic in it. The baby bokchoy is truly baby, about 2 inches long and very tender. Both are really good although I should have bought the supermarket wonton wrapper. 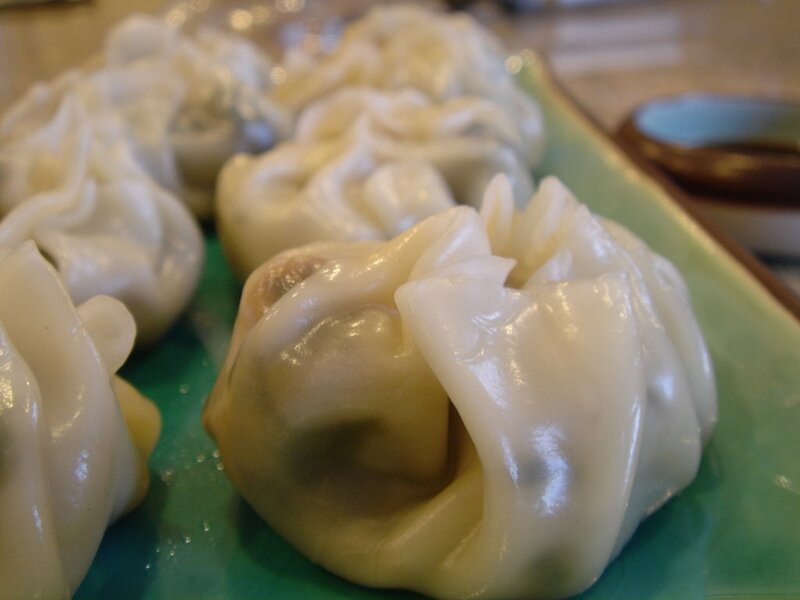 I used gyoza wrappers which are thicker, the shumais came out a little bit makunat (chewy) but still so yummy. The filling is similar to the kuapao we used to have in Manila. Kuapao is a relative of siopao, rectangular or oval in shape and usually filled with green vegetableses, never meat. Hmm, maybe I will make kuapao next.